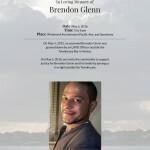 On May 5, 2015, Brendon Glenn an unharmed 29-year-old homeless man, was fatally shot by a Los Angeles Police officer outside the Townhouse Bar in Venice. 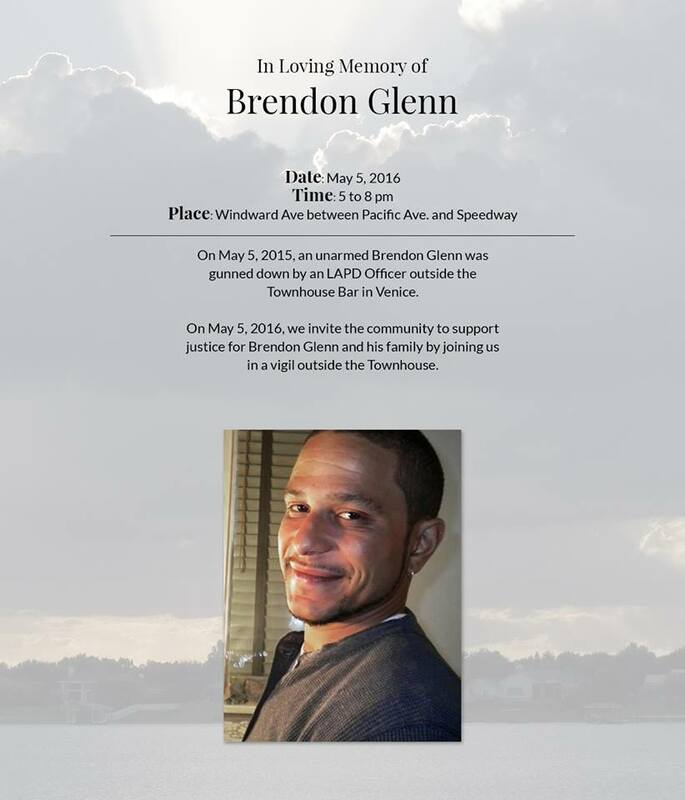 On Tuesday, May 5, 2016, the community is invited to support justice for Brendon Glenn and his family by joining in a vigil outside the Townhouse Bar from 5pm to 8pm. The Townhouse Bar is located on Windward between Pacific and Speedway.